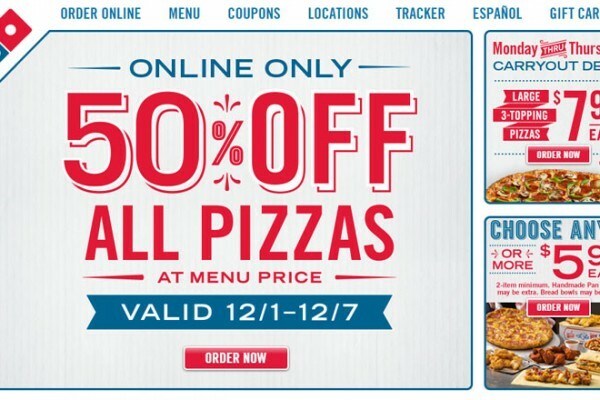 Dominos has a great deal running from now until March 22 for 50% off all pizzas. 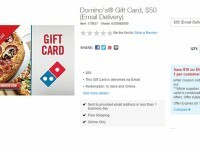 All you need to do is visit the Dominos website and click on the link on the homepage. No code is needed. The coupon code is 50% off menu prices, which vary by location. This isn’t as great as the recent large 2-topping deal for 5.99. Menu prices are pretty high, so even half price won’t be a hugely great deal. For example, at my local Dominos, a large 2-topping pizza will cost $7.79 after the coupon. This is still a great deal compared to other deals out there (although you might want to to check the other coupons available to compare). Either way, enjoy your pizza, also this deal is just for carry out.